Left to right: Bob Wicks, Ralph Bohlin, Ward Barnes. In front of Bob’s apartment building on 90th St. in Manhattan prior to the 45-mile, five-borough tour, on which we were accompanied by 32,000 friends. Not one to sit around, Ward Barnes keeps moving when he’s not working at the Falvey Memorial Library circulation desk or landscaping at his home nearby. 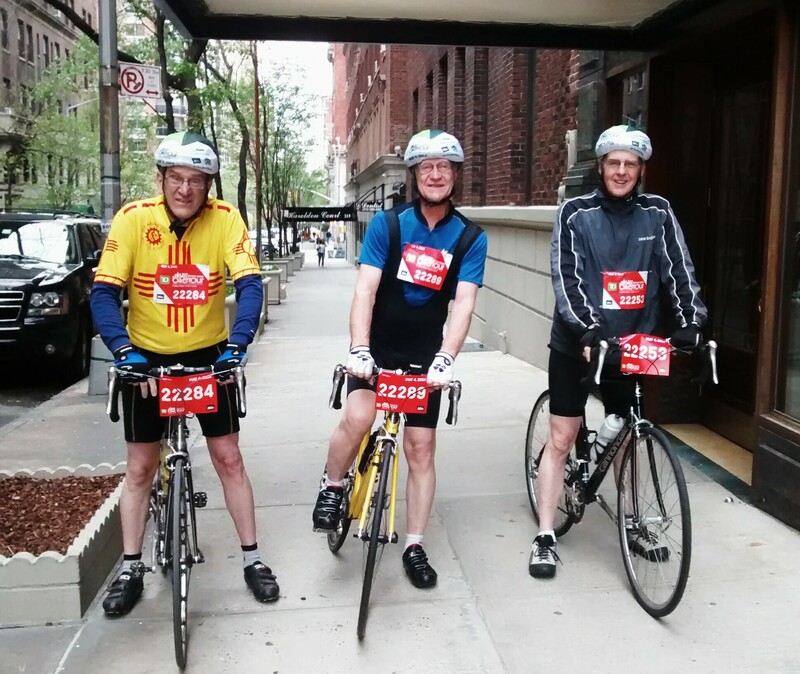 In fact, on May 4, Barnes and two of his friends and fellow septuagenarians rode in a 45-mile Five Boro Bike Tour in New York City.